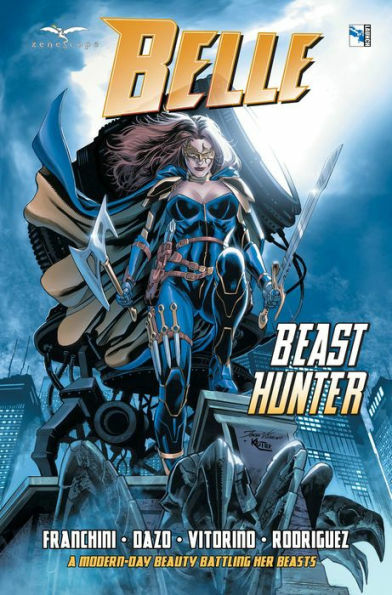 HORSHAM, PA, January 22, 2018 — Zenescope Entertainment’s successful new comic book series, Belle: Beast Hunter, will soon be hitting the shelves of Barnes & Noble, the world’s largest bookseller and a leading retailer of content, digital media and educational products. The series is written by Zenescope’s Executive Editor, Dave Franchini, and follows Belle DiMarco after she learns that she is a descendant of a long line of beast hunters. Belle must face a new wave of mythical monsters that are threatening this world as she looks to prove herself the most formidable hunter ever born.